In 2009, City Utilities of Richland Center was honored by the American Public Power Association (APPA), earning APPA’s Electric Utility Safety Award for safe operating practices. 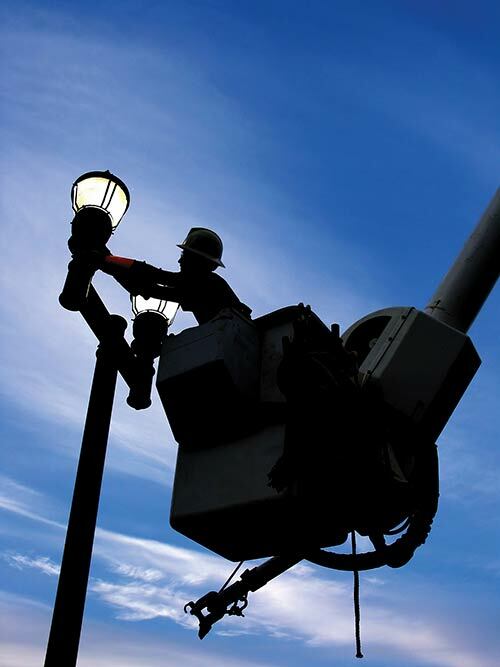 Of the more than 200 public power utilities in the nation that entered the annual contest, City Utilities of Richland Center is one of 60 to earn the Safety Award. Entrants were placed in categories according to their number of worker-hours and judged for the most incident-free records. The incidence rate is used to judge contest entries and is based on the number of work-related reportable injuries or illnesses and the number of worker-hours, as defined by the Occupational Safety and Health Administration. Winners are based on size in eight categories. City Utilities of Richland Center earned first place recognition in the category of a utility with less than 15,000 worker-hours of exposure. More information is available at www.appanet.org. Customers seeking more information can call the utility at (608) 647-3844. Gone are the days when a utility employee would walk to each and every meter to ‘read the meter’. City Utilities crew members collect usage data from your electric meter with an automatic meter reading (AMR) device. Our data collection devices read your meter from a distance and store that information in a format that is then downloaded into our billing software to help produce your monthly billing statement.